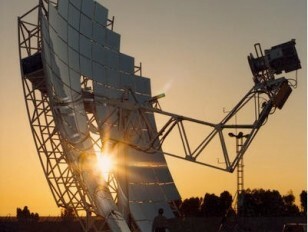 Parabolic surfaces can be used to concentrate energy for example to focus sunlight to heat things. Using an old World War II spot light mirror we demonstrate how easy it it is to concentrate enough energy to cause combustion. Finally, we show how to make a simple experimental version to safely explore solar heating.